I think most of us can agree that people have loved chocolate since the creation of chocolate long ago. Whether you are a lover of dark, milk, or white chocolate …with or without added adornments and flavorings, chocolate is love. Now you are probably asking “How is someone going to save the world with chocolate? Well, Lindsay’s chocolate is crafted with ingredients that are ethically chosen, sourced from local businesses whenever possible. She is focused on contributing to the Rochester community and making a difference locally and beyond Rochester. 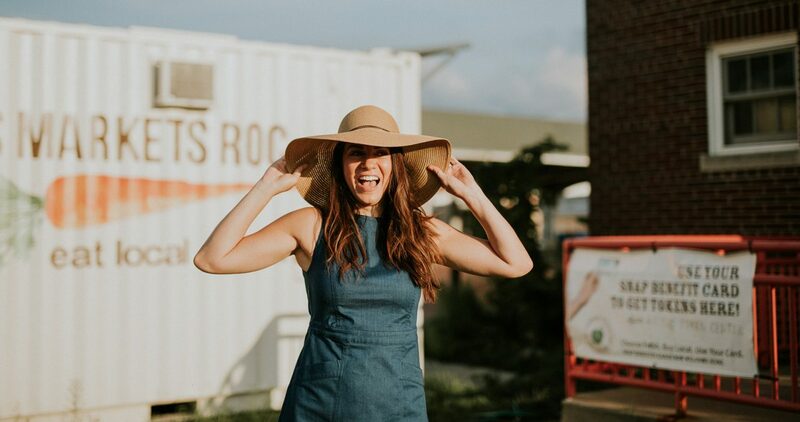 By sourcing ethical ingredients, she is ensuring that she is providing customers with products that have endured rigorous standards that empower communities and help businesses thrive. Saving the World with Chocolate, Lindsay admits, is a continued work in progress. She looks forward to expanding her work with local Rochester businesses. 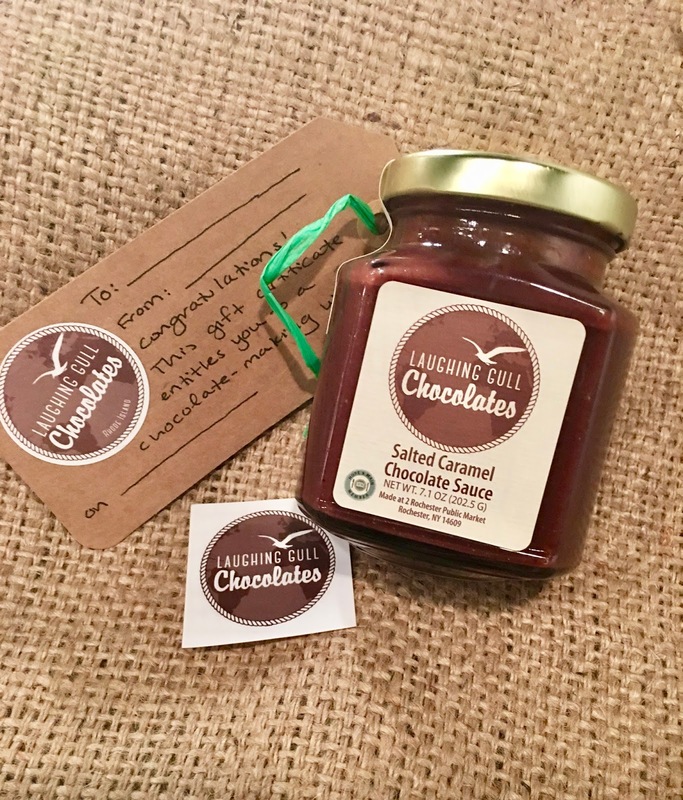 Lindsay originated Laughing Gull Chocolates in Rhode Island. She utilizes her connections with ethically sourced companies near both Rochester and Rhode Island, such as fair trade coffee from a local shop in Rhode Island, sea salt from Cape Cod, ginger from Stone Crop Farm (Rush Henrietta) and cream from Pittsford Farms Dairy. 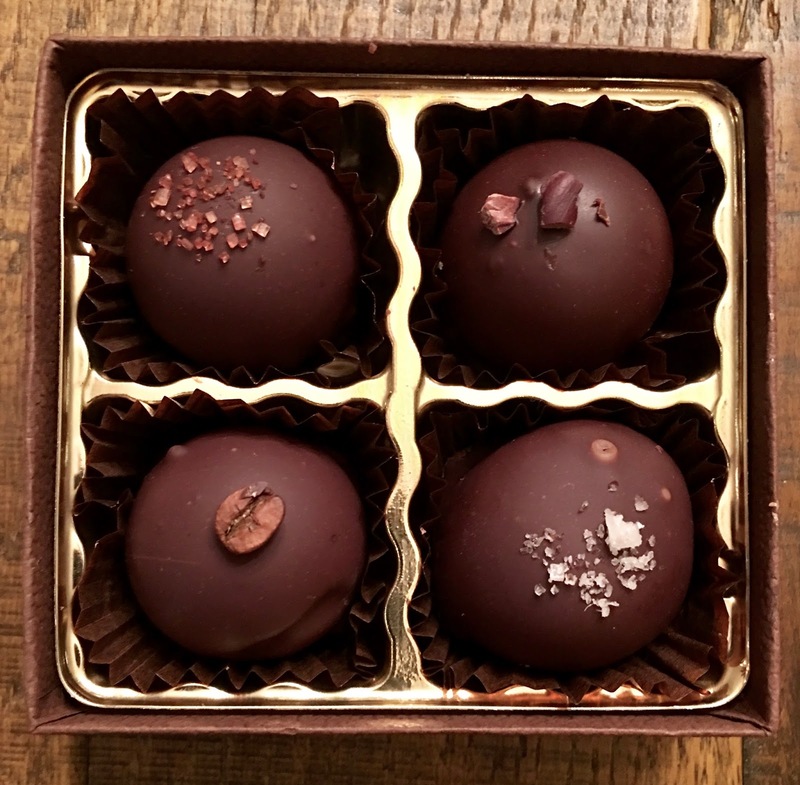 Lindsay offers expertly hand crafted truffles in a variety of flavors, including seasonal flavors. She also has a salted caramel chocolate sauce that you can drizzle on anything you like, but I highly recommend you pick your favorite ice cream and spoon the sauce over the top…while you’re at it, you mine as well add a cookie from a favorite local bakery because…why not? During the colder months, you can also warm up with a cup of hot chocolate that will satisfy both your craving and your mind. Lindsay also began offering vegan chocolates, so keep your eyes open for these as well during Valentine’s Day weekend. There will be a limited number available. 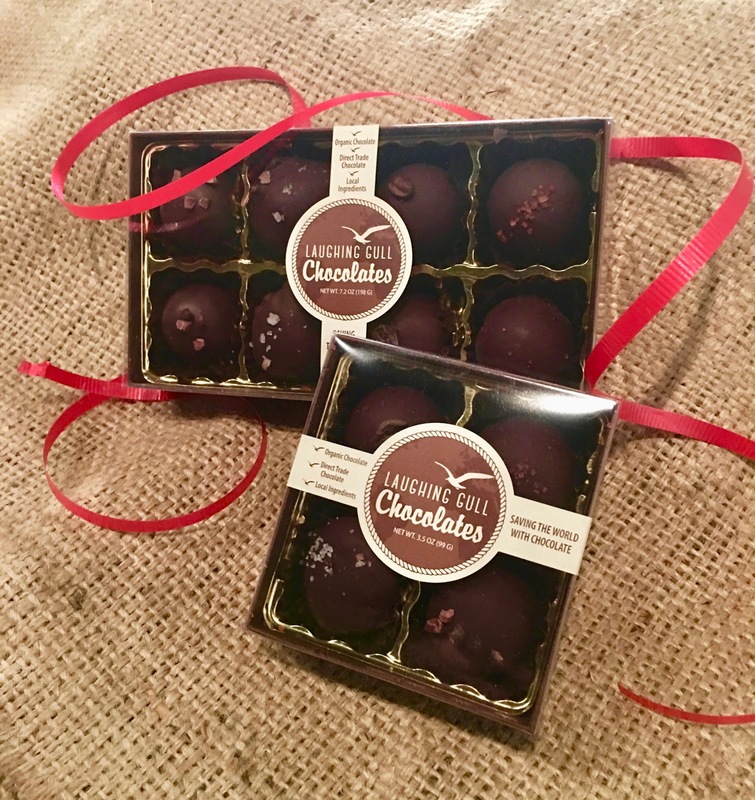 You can attend Laughing Gull Chocolate’s chocolate making workshop. 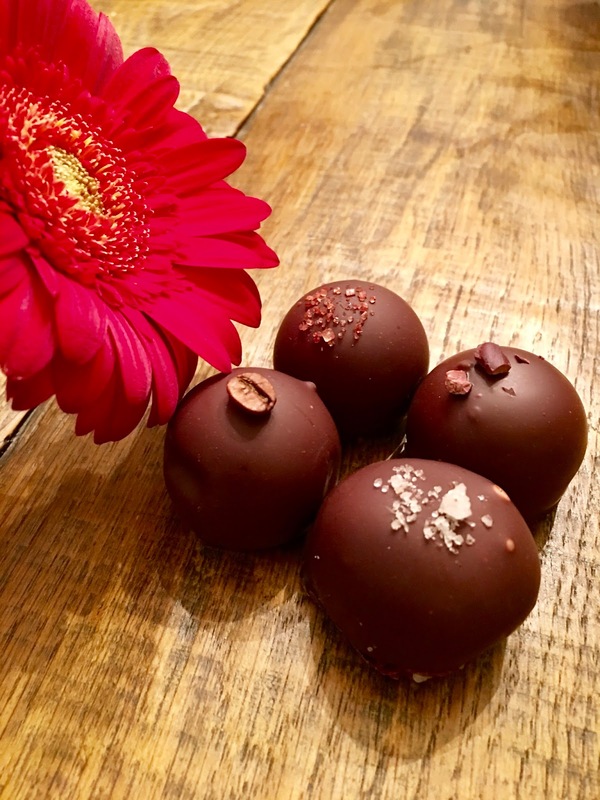 You will learn a bit of history about chocolate and how to make chocolate truffles from start to finish, including tempering chocolate and preparing velvety ganache. You can catch Lindsay every Saturday at the Rochester Public Market and Sundays at the Brighton Farmer’s Market.